Teaching musical theatre choreography can be challenging. The intricate steps and overall staging of a musical theatre piece create a monumental task for a dance instructor. These tips will help you stay organized and precise in your dance instruction and will have your performers executing the choreography in no time! Provide the performers with a brief overview of the musical number's overall theme. Tell them the context of the dance, its style and the history of its origins. This will provide your performers with a goal. They need to be acquainted with your aim as a choreographer to fully grasp the intention of the musical number. If the musical number you are teaching has several different parts, divide the performers up into their groups, assigning each group a letter identification, such as group A and group B, etc. 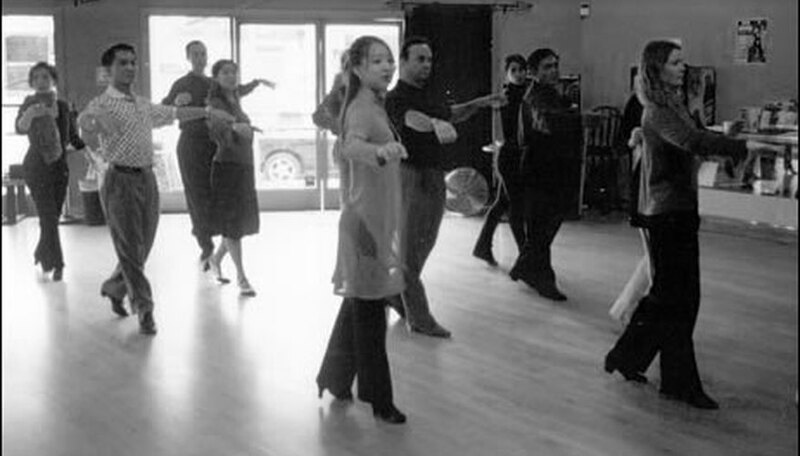 Individual performers within these groups may switch from group to group throughout the dance, or break off to form separate dance groups. Assign these sub-groups a color as identification. It is best not to assign groups with numbers, as this may cause confusion in relation to the numbered steps of the dance. Teach each individual group separately, allowing all the other performers to join if the section of the dance you are covering will be repeated by the entire chorus or by other groups. Break down the dance and teach it in eight-count sections, at half tempo, calling the eight counts aloud as you teach. After four eight-counts have been taught, try the combination up to real time speed. Move on to the next section of eight counts, slowing down the tempo count as needed. Repeat the combination often and in its entirety from the beginning so the performers understand how the dance steps lead into one another. If an individual performer is having difficulty with a step, feel free to take him or her aside and provide special instruction. On the other hand, if an entire group is having problems mastering a skill, it may be advisable to change the choreography of that section. Part of teaching musical theatre choreography is being able to adapt quickly to the needs of the performers. If a step is too difficult, it is best to simplify it and have a simple, clean step. Once the groups understand their dance steps, it is time to put the number together. Make sure each group understands its place on the stage and any formation shifts that will occur throughout the number. When all the performers are set, try the entire dance, calling the counts at half tempo. When the performers are ready, move the counts up to full speed, and finally, attempt the dance with the music. What Does 8 Count Mean in Dancing?